Winston-Salem, N.C.- based development firm, Rehab Development Inc., and Washington, D.C.- based firm, Level 2 Development, today announced plans to acquire 549 High St. for redevelopment. Under the joint name, River District Lofts LLC, this group plans to start renovations to this historic building this fall, creating 21 market rate apartments. This project is estimated to be completed in the fall of 2016. Last year, the Danville Redevelopment and Housing Authority (DRHA) acquired this property due to its unstable nature. Soon thereafter, one of the two buildings collapsed, leaving the street unsafe for pedestrian and vehicular traffic. 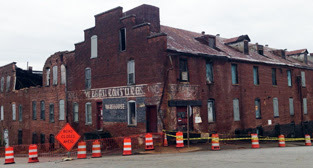 In an effort to save the corner building, the DRHA and City partnered to recruit a developer to stabilize and redevelop this quickly deteriorating structure. Both firms have been involved in a number of projects as the developer or contractor in Danville over the past seven years. Projects include the Ferrell Historic Lofts, Lynn Street Lofts, Westmoreland Schoolfield Senior Apartments, Pemberton Lofts, and The Continental. Corrie Teague, assistant director for the Office of Economic Development, thanked the partners of River District Lofts, LLC for their continued investment in the River District. 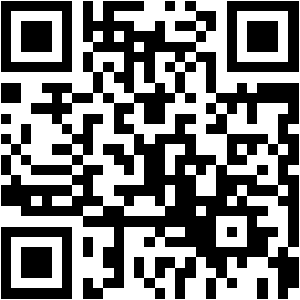 For more information about Rehab Development and Level 2 Development, visit www.rehab-development.com and www.level2development.com. The sounds of drills and saws whirred and echoed against the tall streetscape of mostly empty buildings along Danville’s River District on Main Street on Tuesday morning. The sounds of progress will only get louder after the Danville Regional Foundation formally announced its $10 million investment in Watershed Ventures. “It is amazing based on the city’s investment and others what’s happened in the River District in the last three or four years. The very noises we hear in the background are examples of that,” Danville Regional Foundation President and CEO Karl Stauber, said at the announcement. With $221 million in assets, the foundation has maintained its coffers well in order to provide grants to the community. That revenue needs to be sustained, though, and Stauber sees this investment as pairing of both grant and investment work that will do just that. Watershed Ventures is a real estate investment firm that will invest in a large area of River District property with a focus on the underutilized, long empty and dilapidated structures. Those properties will be rehabilitated through stabilizing construction and then marketed to developers. “We’re not going to operate a real estate fund. We don’t know how to make good real estate investment, but we know how to hire good people that know how to make real estate investments,” Stauber joked. Imperial Building in Danville's River District. Michael Lemanski, who is heading up the firm, said Watershed Ventures will develop a master plan to coordinate the most effective and creatively diverse use of the space, attracting more people and businesses to the River District over the next 10 years. The firm is open to investing in other developers’ projects and businesses, as well. Lemanski has more than 20 years of experience in redevelopment. He is the director of the Development Finance Initiative, an affiliate of the University of North Carolina School of Government. His work can be seen throughout downtown Durham, where he helped repopulate historic structures and establish new construction. Mayor Sherman Saunders and City Manager Joe King attended the small gathering in front of the former Belk Leggett building, one of two properties closed on by Watershed Ventures. The other is the Imperial Mill on Craghead Street. In total, the firm has acquired 475,000 square feet of River District property in the last nine months. “We’re seeing all kinds of signs of transformation and because of this transformation more people will notice and more people will want to invest. And now we have an investing and marketing firm who will help us to transform our city in an even more positive way. There’s no question in my mind that the city will grow,” Saunders commented. During Saunders time in the office, the city forged a partnership with the Danville Regional Foundation, the office of economic development and the Industrial Development Authority with one goal: Revitalize the River District. Over the past years, ribbons have been cut and changes have been seen. The Belk Building in Danville's River District. For this foundation project to prosper, those partnerships will remain a crucial piece to the puzzle of success. Economic Development Director Telly Tucker said the involved parties will maintain open lines of communication to facilitate any potential projects. Tucker said he was ecstatic about the foundation initiative for its ability to add to the existing momentum in the River District. One way to make the projects get moving faster is to provide gap financing. “It’s twice as costly to redevelop a historic property like this as it is to build it new. There has to be an incentive for this type of adaptive reuse to happen, taking something that once held a life of its own and in some cases previous lives if it’s been different businesses, and — to use our rebranding phase — reimagining it as something else. You need that type of partner to be here,” Tucker said. 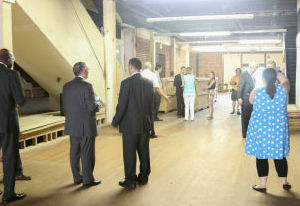 Before opening the Belk Leggett Building up for a tour, Lemanski told the group that the hurdles ahead for Watershed Ventures will be large and time-consuming, but not impossible with the right strategy. “Fixing up a distressed building is going to be quite challenging, especially when you’re in an area with a lot of real estate that needs to be redeveloped and it requires a really good long-term vision and strategy for doing that,” he said. Over the next six months to a year, Watershed Ventures will continue its property acquisition until it has a large mass. Then the strategy will be created and partners and developers will be identified. “Our goal long-term is to continue to build on the success that the city and the IDA had in both investing and acquiring property and trying to figure out how to speed that up and increase the scale of that type of investment down there,” he stated. Cruz reports for the Danville Register & Bee.